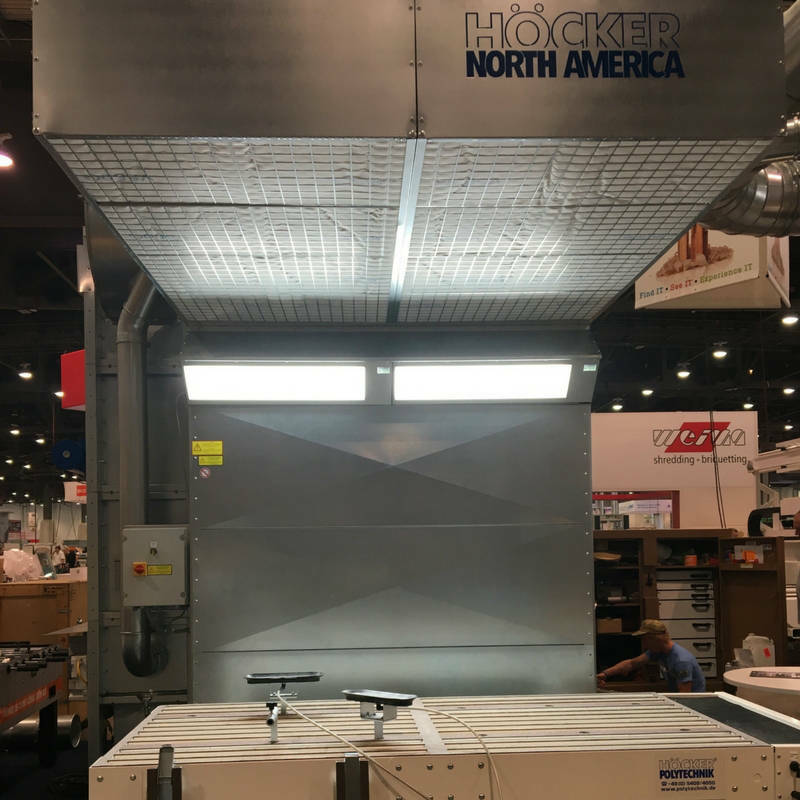 Why Choose a Spray, Paint or Sanding Booth from Hocker North America? The PaintStar from Hocker North America is a different kind of unit. Two filtration stages allow this unit a separation degree of 99%. The concertina primary filter absorbs considerably more overspray than usual filter mats. The secondary filter mat protects the fan and the environment simultaneously. The low draft and low turbulence of the diagonal air flow guarantees a comfortable working climate with an optimal surface quality. The PaintStar also features a ground level suction hole at the base of the unit, collecting solvents at ground level. Therefore the filter cartridge only has to be inserted in front of the unit. The quick and easy change of the filter is one of the biggest advantages of using the PaintStar. Another advantages is a high reduction in downtime. The PaintStar T is the smallest type of PaintStar unit, ideal for the deducting of small and intricate pieces in the handcraft or millwork industries. As normal paint walls are not always suitable of the extraction of small work pieces, the PaintStar T is ideal for the job. The high performance extraction features two-stage filtration and low turbulence air flow. This airflow provides good climate at the work stations and a first class surface quality. When used in conjunction with Hocker’s concertina filter, the PaintStar T not only protects the environment, but your bottom line. The paint extraction unit, PaintStar M, is a customizable modular unit built to meet your unique needs and specifications. Due to the efficient and effective Hocker modules, an exceptional price-performance ratio is achieved when choosing this model. The innovative technology of the PaintStar M significantly reduces energy costs, while maintaining a safe and productive work environment. Underfloor paint mist suction systems permit an optimal surface quality. These units increase the workplace convenience and operational safety while providing more economic production conditions. PaintStar U is suitable for all purposes and may be used in conjunction with a paint mist exhaust wall unit; specifically for the painting of windows and doors. The PaintStar U offers many advantages, creating a competitive edge for your company.